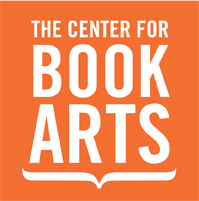 I am so excited to be 1 of 8 participants selected for the Letterpress Publishing Seminar for Emerging Writers at The Center for Book Arts in New York City, November 4-9th. Participants will hear lectures from various professionals in the field – printers, fine press publishers, book artists, and dealers, to get a practical overview of letterpress printing and small press publishing. They will learn the basics of letterpress printing, both traditional typesetting and options with new technology, by collaboratively printing a small edition of broadsides or other projects.